Sonmarg is always set on a cooling note with a chilly weather and wind following. With the backdrop of the snow peaked hills it more pronouncedly signifies its cool weather. From April to October hails the summer in Sonmarg. It is the best time to visit Sonmarg. During the summer the weather remains cool and the Sonmarg temperature records around 20 degree celsius. 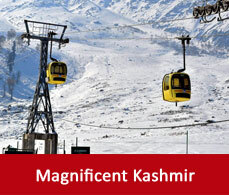 But you will be able to enjoy the glimpse of the snow peaked mountains at high altitude. 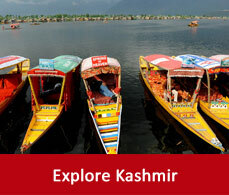 It is the ideal time for sightseeing in Sonmarg along with some trekking trails. Starting from July and ending till September it is the monsoon time in Sonmarg. Though rainfall is less there but the roads might get slippery and it can get a little more risky. From November to March hails the winter in Sonmarg. The temperature most of the time remains below sub zero level which is accompanied by snowfalls and chilly wind. 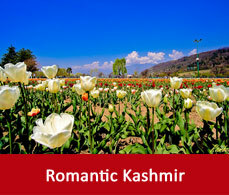 Most of the honeymoon packages get booked during this time as this is the most romantic time for honeymooners.